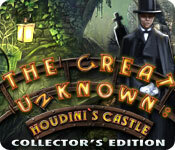 The Great Unknown: Houdini's Castle Collector's Edition is rated 3.9 out of 5 by 46. 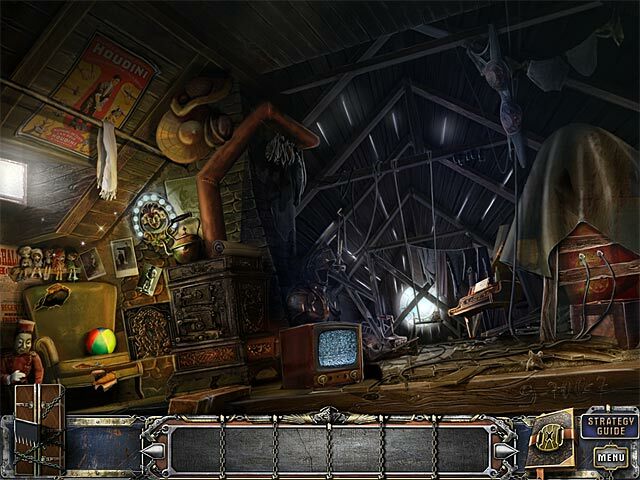 Rated 5 out of 5 by bomar from Not Boring I didn't pay much attention to the lost husband plot which has been done many times, but I found the games and puzzles very intertaining. Different twist on HOS. Not so many boring ones, but item association instead which sometimes really made me think how does this work. Just when I would think it would be over another area opened up. I usually get bored before it's over, but I didn't with this one I enjoyed all of it. Rated 5 out of 5 by gypsyx96 from A total buy! Very rarely do I give a game 5 stars, but I felt this game was deserving of just that. I played expert mode, which is a preference to get the true gaming experience. 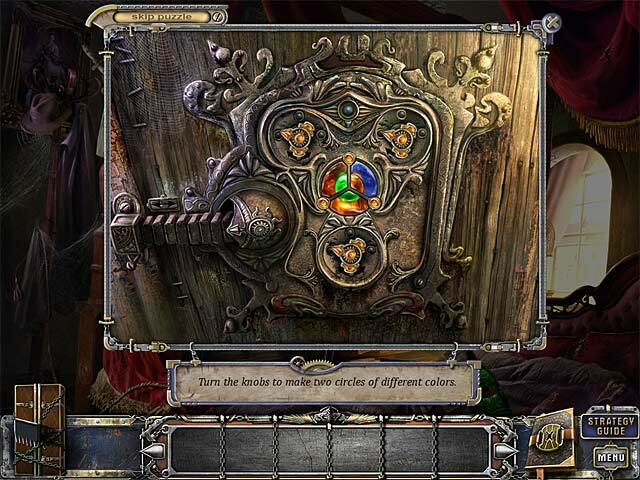 I loved the graphics, adventure aspect, and the hidden objects were perfectly done. Scenes were clear for me and the game was easy to move around. Some people may not like the travel part of searching, but it adds to the game for me. 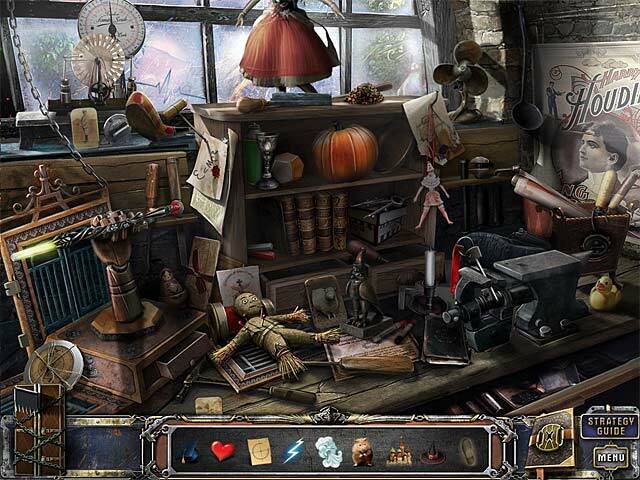 Rated 5 out of 5 by Svintik from Great hidden object games My review won't be very long. I just really like this game. Rated 5 out of 5 by b1ackburn from awesome game I was so happy I purchased it. So sad to see it end. It is definately the best game big fish has offered in quite some time. Rated 5 out of 5 by lucygirl7 from A Cut Above This is a great game. The visuals are great, the hogs are pretty easy and the mini games are different from the norm and a lot of fun. The storyline is different for a change and that makes it worth playing. The demo was over way too quickly. I will definitely buy the SE. Rated 5 out of 5 by esteroverde from Houdini Splendor! This was a very enjoyable game to play. The graphics were beautiful, the music fit perfectly and not too intrusive and just enough adventure to keep things interesting. I liked how the HOS's were mostly by association in pairing things up. Unless I missed it, I didn't notice any "extras", like things to collect or achievements of any kind but the game itself was entertaining enough. I really liked the theme of the game about Houdini with some magic and mystery so that's what first got my attention. Good job developers! Rated 5 out of 5 by 53_model from Great addition to the Harry Houdini saga Loved playing the trial and can't wait to buy it!..Excellent graphics with fairly easy puzzles..HO's are visually great, not tiny objects!..Lots of fun!